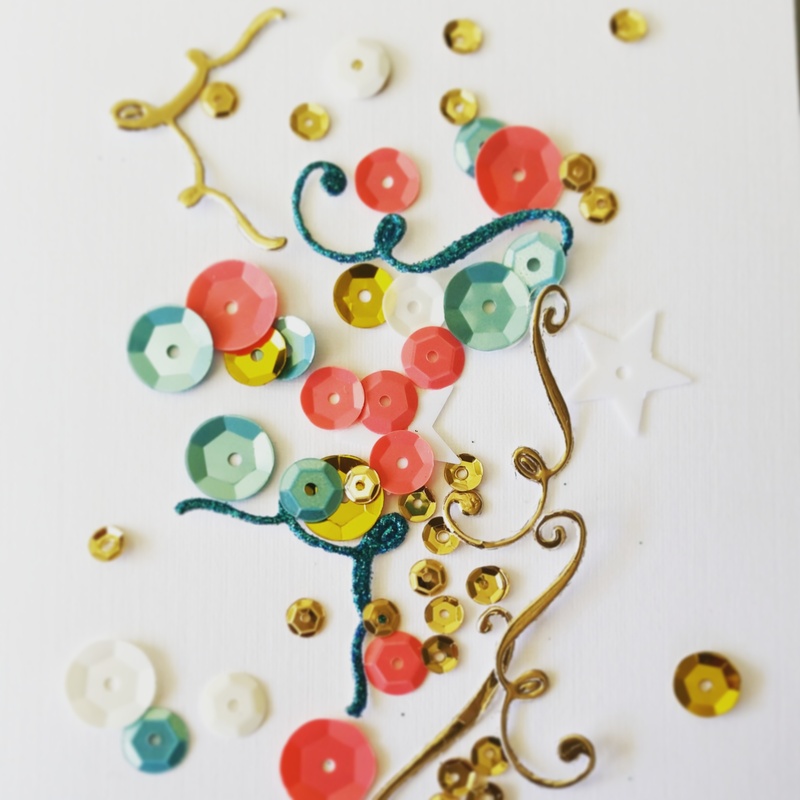 Fiesta Forever: It’s Another Birthday Blog Hop! I am always late to the party! 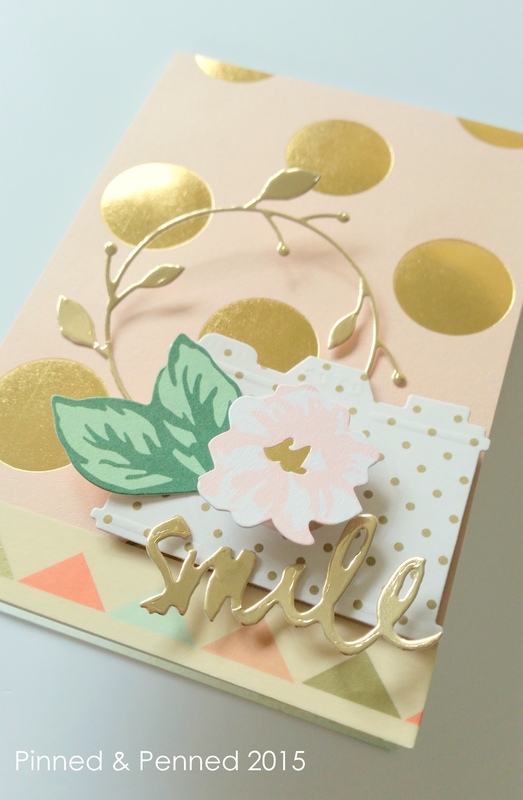 But I’m so glad you’ve stopped by because our PNW crafty group is celebrating a card maker you may know well from a variety of design teams, Ms. Katie Brooks! Today is her birthday, so we have pulled together a little hop. As usual, I’m flying by the seat of my pants here, but so happy to be included in the celebration! I’ve been working with a lot of pink lately, thanks to the Confetti collection from Maggie Holmes, and the Fancy collection from My Mind’s Eye. 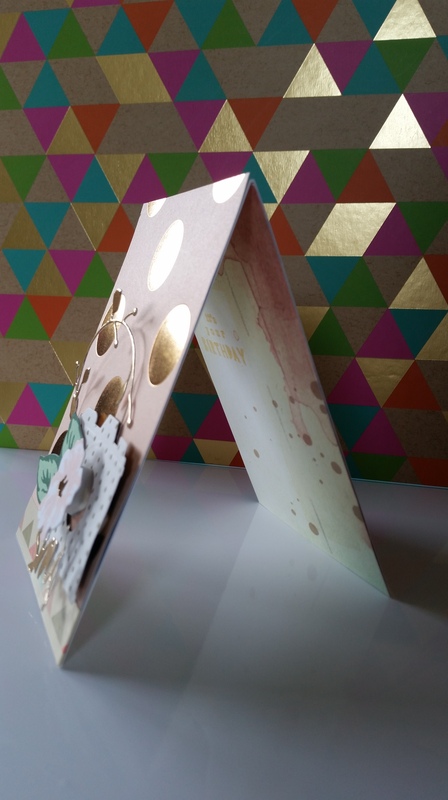 I’ve lined up a graduation card and mini-album to post soon featuring both collections. 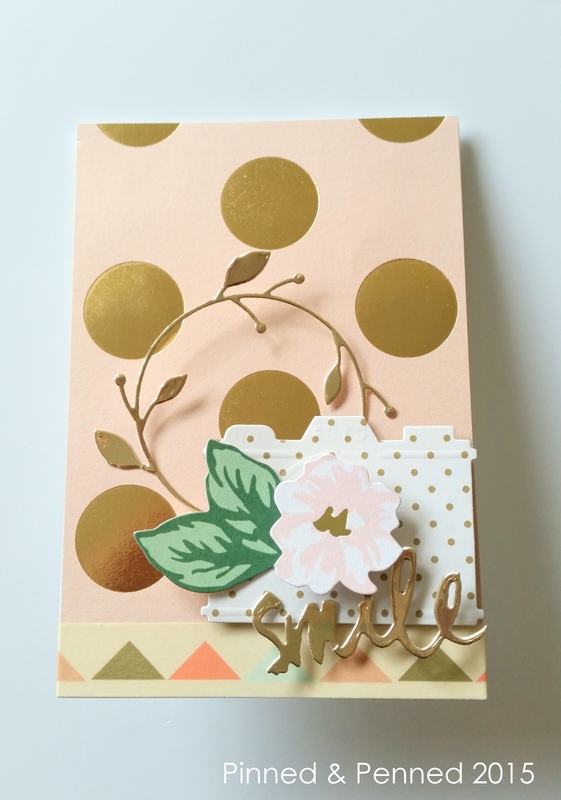 For this card, I’ve combined some Maggie Holmes and MME, using the Fancy collection pink and gold polka dot paper and some of the awesome flowers and leaves from the Open Book collection. 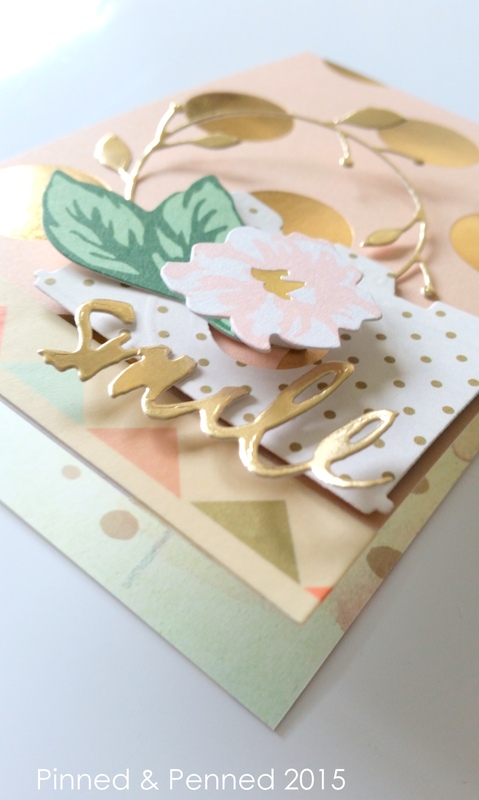 The smile die cut is from PTI’s Wet Paint collection, and the Chochitlan Wreath from Poppystamps was a must-have after I saw it featured in one of Maria’s cards, of Riesling Mama. The camera is from an awesome Spellbinders set by Donna Salazar, which I don’t think is available any more. I’ve got a little bit of a retro soft-palette reminiscent of the Eighties going on here, especially love this washi! 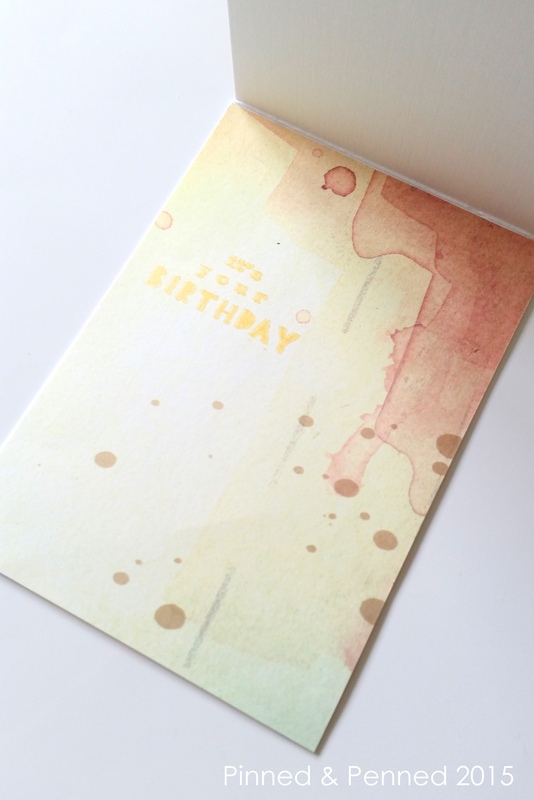 And the wet-paint style of the inside paper, which is from Studio Calico’s Lemon Lush. Lizzie McKay’s birthday stamp set “Let’s Party” from Studio Calico provides the sentiment, which I stamped in gold. Katie’s cards and personality always make me smile, so I thought this would be a fitting sentiment for her. And while I don’t necessarily equate Katie with pink, as her style is bright and colorful, a bit quirky, and always smile-worthy, pink seems to be ruling the day over here at Pinned & Penned. And I hope Katie’s day rules, that she was showered with love yesterday at the crafty gathering I was sorry to miss! Unfortunately, my teaching schedule and other obligations have prevented me from not only gathering with the ladies, but also posting anything since our last birthday hop!! I have been creating though, and hope to get some of the backlogged work posted here soon! And can you believe the celebratory month of June is nearly over? Graduations, anniversaries, birthdays have filled these last few weeks, not to mention the celebration of the national decision to grant marriage equality to all. We found ourselves celebrating friendship and our anniversary last night, a balmy evening, with friends over some lovely French food and champagne at Le Pichet, followed by dessert on the deck overlooking the Sound at The Pink Door, one of the loveliest spots in the Seattle summer, day or night. Let’s keep the party rolling with your next stop on the hop, Ms. Kimberly Wiener! 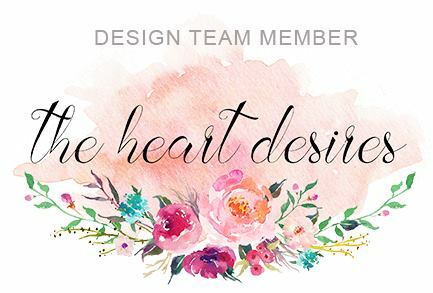 Big thanks to Amy for pulling this all together, and really, what can’t she make happen in the blogosphere? I mean have you seen what she’s done for coffee and paper crafting? A force to be reckoned with, I tell ya! Kate so sorry to he missed you yesterday but understand 100%. your card is lovely as always with the pink and retro feel. miss you and hope to see you soon. hugs! Very pretty with the pink and gold! Thank you so much, Vinita! Great to make your acquaintance. Look forward to seeing your blog!